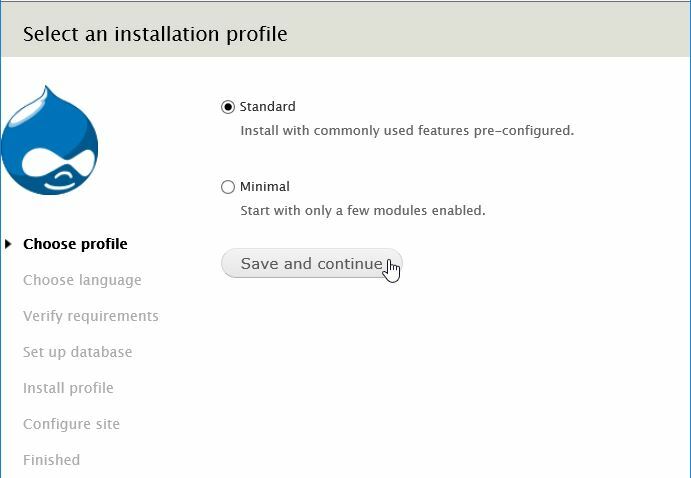 In this How-To, we will walk you through the install and configuration of Drupal on Fedora 23 with Apache. Drupal is a free content management system that will facilitate the way your content is organized and managed. It has a user-friendly interface that makes customizing your content easy and simple with little effort. – You need a Fedora 23 server that is configured with a static IP address. – You will also need to have a LAMP(Linux, Apache, MySQL, PHP) stack platform that can be installed by clicking here if you don’t already have it. With the Database created we must now create a user so it can access the Database.This can be accomplished with the following command replacing yourdrupaluser with your desired username and replace yourdrupalpassword with your desired password. We need to edit the php.ini file and set mbstring.http_input and mbstring.http_output to pass. Look for mbstring.http_input and mbstring.http_output, remove the semicolon in the front and add “= pass” It should look similar to the below example. 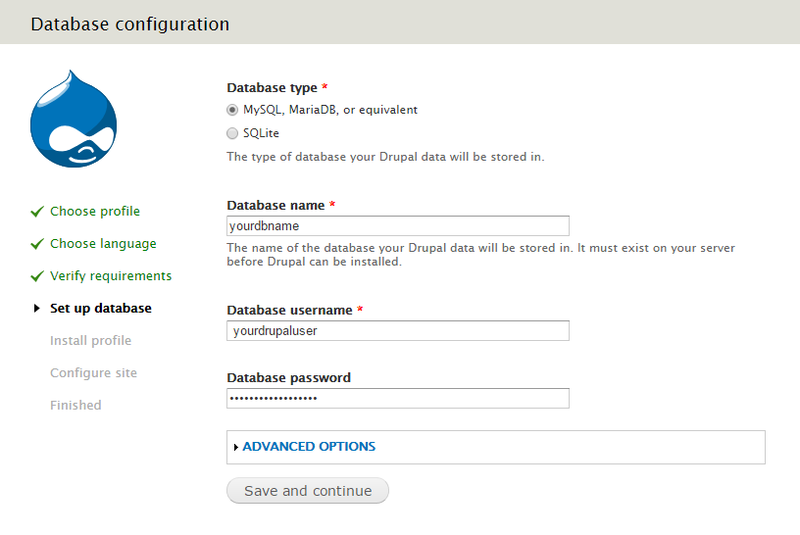 After we have installed the requires dependencies, we can continue with the installation of Drupal. Run the following command to unzip the Drupal package that we downloaded. Furthermore, with the following command we can apply the appropriate permissions for the Drupal directory that was just created. 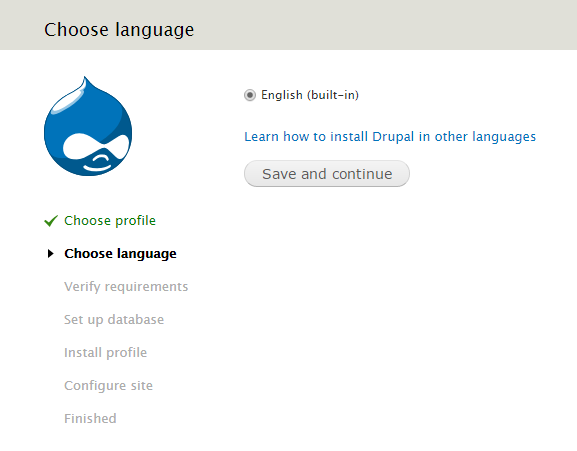 Next select English, or follow Drupal’s instructions on adding a new language. Click “Save and continue”. You can now enter your information for the site details. Congratulations! 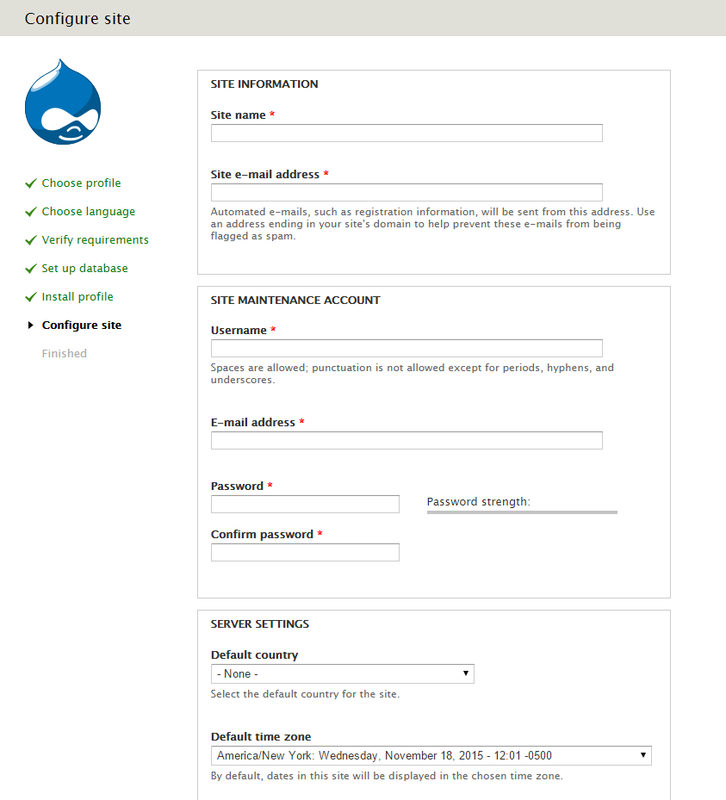 You have just installed and configured Drupal with Apache on your Fedora 23 Cloud Server. Thank you for following along in this How-To and check back with us for any new updates, and learn more about our reliable HIPAA-compliant cloud hosting solutions.